Cleveland students run Earth Week action tables at lunch. 2018’s Earth Day was extended to an entire “Earth week” for Cleveland. Each weekday starting Monday, April 16, was devoted to a different theme centered on supporting a sustainable lifestyle, and students were encouraged to complete daily environmental challenges. April 16 was the launch day with the theme of “hope” to get the information out to students. Earth week action tables by the main office at lunch presented facts about environmental issues within the community and what would be coming up throughout the week. Students also signed a variety of petitions to create local sustainable development to better the environment. Among them were the enforcement of a recycling program for cans and bottles as well as providing reusable dishware and utensils in the school cafeteria, the implementation of climate change and climate justice curriculums in schools, and the transition of TriMet from diesel to electric buses. All of these petitions tied in later on throughout the week, as each one supported a different environmental theme. Monday’s information day was also accompanied by the screening at Wilson High School of a film titled “Tomorrow,” put on by the organization H.E.L.P., which stands for High School Environmental Leadership Project. The film was about climate change actions and the ways people can get involved to create solutions. Tuesday began the active challenges with the “water-based challenge.” Students were encouraged to bring water bottles from home to cut back on waste from Cleveland’s paper cups located at every water station. And, according to the EPA, Americans utilize an average of 88 gallons of water a day in each home, and the average family wastes up to 180 gallons per week, so Tuesday’s “water” theme also advertised the need for water conservation. Wednesday’s theme was “food,” as students reflected on how much waste from food is produced at Cleveland and at their homes as well. According to Oregon Metro, nearly 20 percent of the region’s landfill is composed of food waste. Students were urged to bring sustainable lunches from home or to bring reusable dishware and utensils for cafeteria meals. Getting students to walk, bike, or bus to school and looking at equity on TriMet supported Thursday’s “air” theme. Eighty percent of air pollution comes from daily activities like driving, and encouraging students to choose a more eco-friendly mode of transportation and to promote the transition of TriMet buses from diesel fuel to electric, promoted the theme of “air” and air quality development. As Friday was the nation-wide walk out for students against gun violence, Earth week’s last day was given the theme of “love” to support the movement. Cleveland junior Piper Wyrick was the main organizer for Earth Week at Cleveland. The goal of the week-long event was to promote more sustainable lifestyles for Cleveland students and to educate the community on how much we impact the environment through our everyday lives. 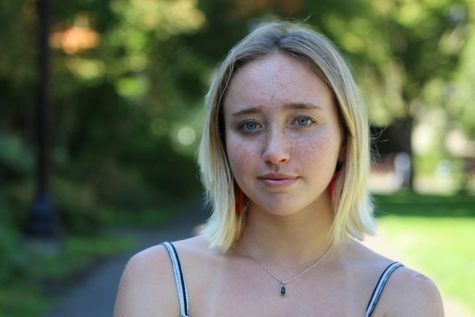 Earth week was set up “to help activate fellow young people to take care of the environment through evaluating and changing their lifestyles, using their voice, and redefining what the norms are concerning what decisions people make and what is considered ‘cool,’” Wyrick explained. Letting students know that there are simple ways for students to make a positive impact was a major part of the movement, and students have exhibited their passion for education about the possibilities. Moving forward, students are encouraged to take actions in any way they can. 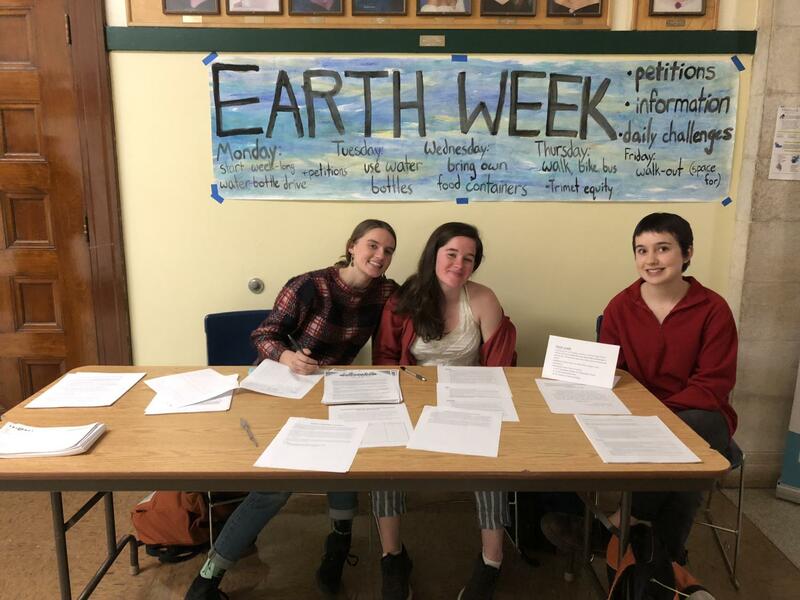 Wyrick and many students pushing for changes hope to see that the Earth Week challenges become a regular practice among the Cleveland community.